It has been 10 years since I started Simple Indian Mom! Oh Yes! It seems like just yesterday I was browsing the net learning blogspot and wordpress, learning how to type and learning how to create content. I was very particular in my niche – it was going to be women centric, moms especially and moms who would be so busy doing all the stuff at home that they would want someone to share their thoughts with and learn something new. It was somehow fixed from day one that this was going to be the name. I had never discussed or asked opinion from anyone, it was SIM and I stuck with her through all these years. My blogging was not something that was planned to earn money or vent my feelings, I very steadily progressed towards something that was well thought out and implemented timely. Though there were offers from people to make it into a commercially hit site, I never gave in because as I had planned earlier, I wanted SIM to be simple and really really clean site. I have always seen Simple Indian Mom as my brain child. I love her so much that I can never part with her, she is someone who has given me all the worth. Today I conduct workshops on mindmapping, workshops on parenting and nutrition – it is all because of her. If people take me seriously as an organic food producer – it is a gift SIM has given me. People recognize me as a good writer, ask me to join their forums and give me opportunities that I can handle from home – all because of SIM. Today on the Valentines day – I can never thank SIM enough for the love she has given me. I know I love her and I her nothing but my time – She has given value for that time. Yes! 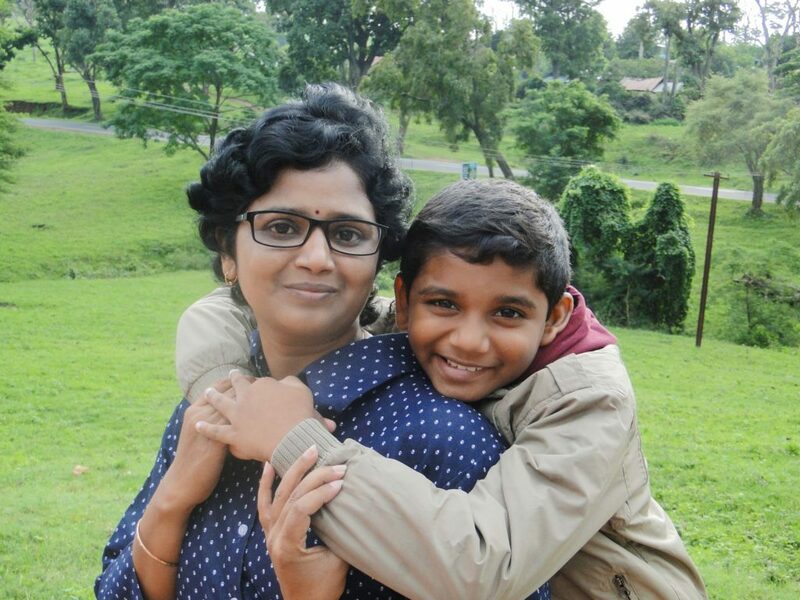 Simple Indian Mom – my love of life has made me The Simple Indian Mom – how much can I love her for that. Hi there it’s me, I am also visiting this web site regularly, this web site is really nice and the visitors are really sharing good thoughts. I just like the valuable info you supply in your articles. I will bookmark your blog and test once more here regularly. I am reasonably certain I will be told many new stuff right right here! Good luck for the following! Menaka , you are so right when you tell us that your vision for the blog is very clear. This is exactly what I’ve felt in all our interactions . I particularly admire your commitment to healthy eating & lifestyle – something that I as a Simple Indian Mom stand for too. We are so different and yet your philosophy is our link and am glad we met through blogging. Wish you the best always.. Thanks Buddy! Your encouragement makes me want to do more of this mahek! Thanks a ton dear buddy Saumy! Your words make me feel more responsible and work even better. I know how hard it must be for you to take time out of your work to visit here.. kudos buddy! Thans Jini! You know how it is with me, the journey is picking speed and I am travelling the positive tide. Thanks Laurel! Wish you a wonderful future too! True Carlie! It is a marathon and we have a long way ahead. Glad that you are mindful of your growth. Thanks a ton Rajlakshmi! I shall surely share more of my organic farming experiences soon! SIM is a classic example of how a selfless act of sharing can become so significant for both the giver and receiver. May you continue this journey and make lives more fulfilling. You we doing a fabulous job… All the information that you share here is so helpful and enlightening. I specially love your passion for organic farming. I would love to read more on how you go about it. Menaka, this is great to read! It is a marathon not a sprint. It’s a long-term relationship that continues to evolve. I feel the same about my blog but I don’t think I have always been (or am now) as mindful as you! Happy Valentine’s Day! How wonderful! Congratulations on ten years with your blog, and wishing you many more years of writing love! What a great journey you’ve had with your blog! More power to you my lovely buddy!! Love that this blog is a personal outlet for you! We think those are always the most honest. Sure you’re doing a wonderful job with SIM! All the best for all your endeavors! Yeah very true Romila! we are free to write and publish anything we like or dislike with no strings attached nor any questions asked. Thankfully, years of struggle gives you clarity and experience. The way you publish and present content is entirely up to you. It’s about personal preferences combined with your overall audience. Who cares if you’re too informal and enjoy smileys and LOLs and the occasional typo? The online world has gradually adapted a more “humane” and casual approach, often used as a marketing tactic to resonate with readers. Take the time to find your voice and don’t try being someone you’re not. Your audience will love you. A beautiful relation you and SIM have! You get back as much and in fact more than you give your blog, right? Loads of love to you for making SIM so awesome!